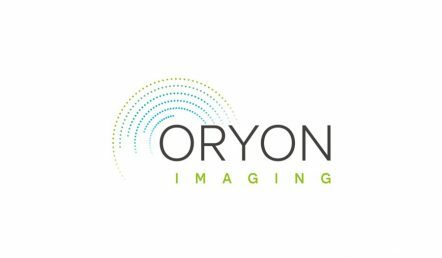 As of January 2019, sister brands London Imaging Centre and CPD Gateway have come closer together under one company name: Oryon. We’ve changed our names to reflect what we care about most: an efficient and transparent journey for our customers. We’re building a place where people with healthcare concerns can find the most efficient and affordable route to recovery possible, and healthcare professionals can offer better outcomes for their patients by learning, accessing affordable imaging and benefiting from quick appointments and speedy reporting. We’re making it our mission to ensure that our healthcare services are affordable, efficient and accessible. Affordable diagnostic imaging in London’s Harley Street district. Nothing’s changed but the name. Oryon Imaging exists to make sure that the path to a diagnosis is efficient, informative and affordable. We continue to boast a unique, secure online community which allows referrers and patients to manage their journey with us online, quickly and securely, and our imaging services continue to be highly affordable and accessible. *when booked online you receive a 5% discount. Convenient, affordable CPD for allied health professionals. We’ve brought our businesses together to create a unique place, where healthcare professionals can find everything they need to give the best care to their patients. Professional: courses are delivered by experts, containing information on the latest techniques and developments. Local: held in accessible locations, our courses are delivered by professionals local to our members. Affordable: with events starting from £30, our courses are great value for money. Showing the way to better health. Our secure online community, TREVOR, becomes Oryon Connect. Since 2015 we’ve proudly offered TREVOR to patients and referrers as a secure method of quickly submitting referrals, managing appointments and receiving results. Now, Connect offers everything TREVOR could and more! You can book Develop courses, download CPD certificates, refer for imaging and view scan images and reports all in one place, and will benefit from a new and improved dashboard. Coming soon, Connect will also become a service that guides people through their healthcare journey, connecting them with the right healthcare professional for expert advice and diagnosis. Watch this space! Welcome to Oryon. Welcome to the rest of your journey.